We have heard from homeless people that the local shelters are not following the local County discharge procedure especially giving out a written explanation for why people are discharged from the shelter. We have begun distributing these flyers to residents of the shelter. You can print one out and distribute it as well. 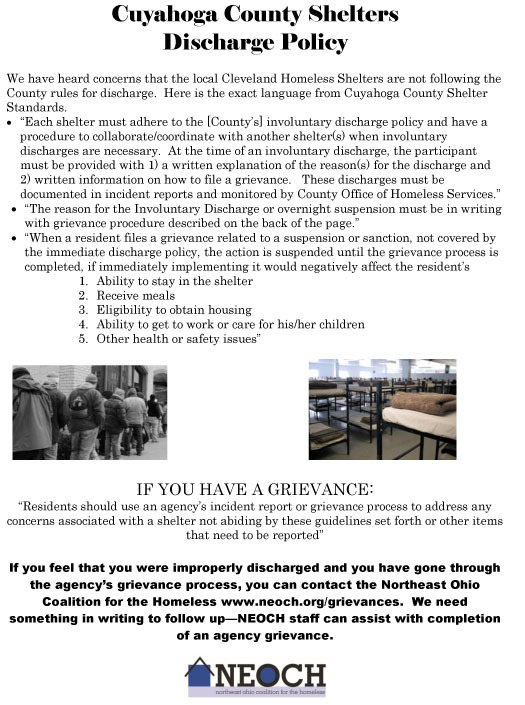 Here is the complete list of shelter standards for Cuyahoga County. We have a page in which an individual can file a grievance on our website.